The South Dakota Judiciary Committee voted to advance Senate Bill 122 to the Senate floor on Tuesday. 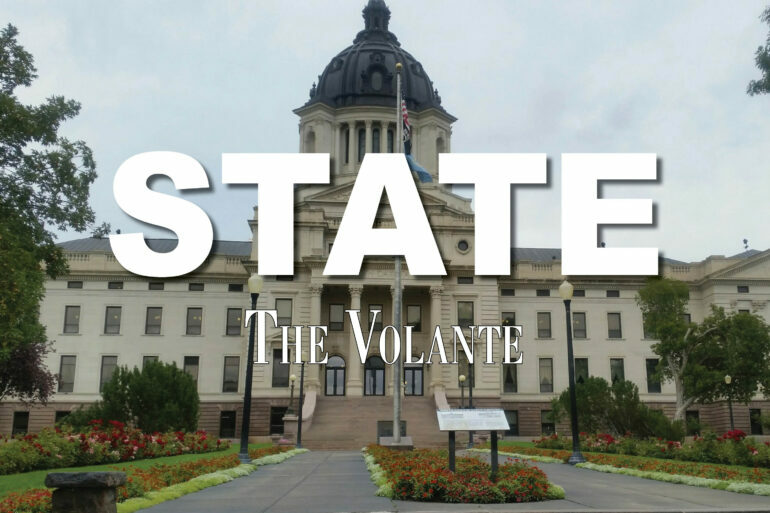 Essentially, if passed, this bill will forbid the Board of Regents, South Dakota Board of Technical Education or any institution under their control, to adopt any rules or regulations related to firearms on college campuses. Higher education institutions will require by law to follow the limitations and regulations the state has for firearms on campuses. Sen. Stace Nelson, the bill sponsor, said he thinks students should have the right to arm themselves while at school. According to KOTA TV, the Board of Regents and student officials opposed the measure. USD Student Government Association, passed an emergency Senate legislation at last week’s meeting, opposing SB 122. According to the resolution, students, faculty and administrators have reservations with firearms in a college setting, especially mixed with alcohol. “Alcohol plays a large factor in the college experience, regardless of location, and firearms and alcohol should never coincide with one another. Especially at an institution of learning that our students call home,” the resolution states. Currently, the Board of Regents policies prohibits firearms on campuses and has little exceptions. SB 122 is scheduled to be read on the Senate floor later this month.